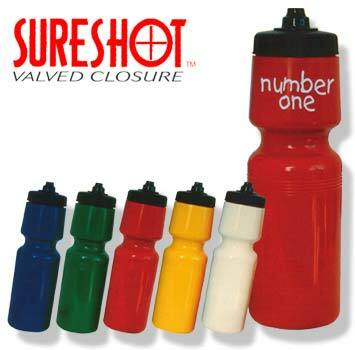 Great deals on Drink Bottle Printing. Also in 800 mls( The Super Sipper). 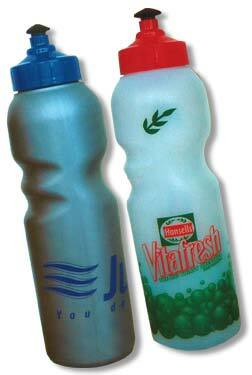 Add 25 cents to the above prices for the larger bottle. 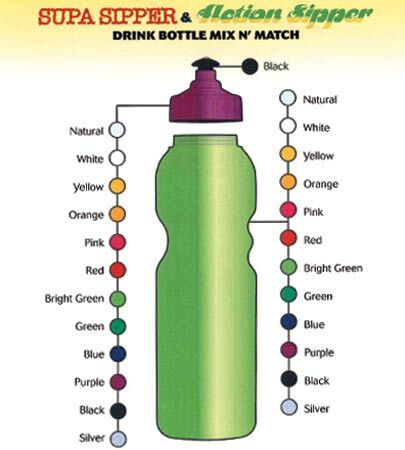 Special Colours: Bottles can be moulded to special PMS colours for a minimum quantity of 2000 pcs. Price on application. Please note due to the radical shape of the Action Sipper we can only print on the upper part in 1 colour. Please contact us if you have any queries.